Salad, bran muffins, fat-free foods―they're good for you, right? Not always. Nutrition expert Katherine Brooking, MS, RD, reveals surprisingly unhealthy foods, plus better-for-you alternatives. 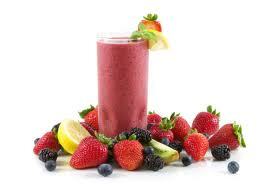 A smoothie can be a great way to start the day or to refuel after a workout. Just remember to account for the calories you drink when considering what you've consumed in a day. For the most economical and healthy smoothies, consider making your own. This delicious Blackberry-Peach Smoothie with Walnuts is packed with healthy ingredients and contains just 240 calories per serving. 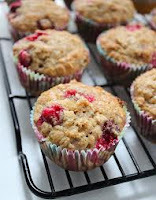 Most bran muffins, even those sold at delis and coffee shops, are made with generally healthy ingredients. The problem is portion size. Many muffins sold in stores today dwarf the homemade muffins made a generation ago. A random sampling of some coffee and restaurant chain bran muffins showed that many topped 350 calories apiece, and that's before any butter or jam. The bran muffins at one popular chain bakery contain 600mg of sodium―roughly one-third of a day's maximum. 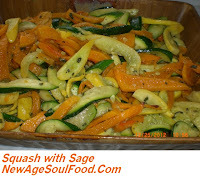 Even a healthful food, if over-consumed, can be not-so-healthful. Enjoy your bran muffin, but just eat half, and save the rest for an afternoon snack. If you want to save money and calories, bake your own. Turkey is an excellent source of lean protein and a good choice for a speedy lunch or dinner, but many packaged turkey slices are loaded with sodium. One 2-oz. serving of some brands contains nearly one-third of the maximum recommended daily sodium intake. So make sure you buy low-sodium varieties or opt for fresh turkey slices. If you can't roast your own, the best rule of thumb is to find a brand with less than 350 milligrams of sodium per 2-oz. serving. Fat-free does NOT mean calorie-free. Just because a food contains no fat, that doesn't make it a health food. (Think gummy bears.) Of course, there are many very healthful fat-free foods (like most fruits and vegetables), but always check the nutrition labels when buying packaged foods to be sure you're getting a nutritious product and not just one that's fat-free. Calories, sodium, fiber, and vitamins and minerals are all aspects you should consider in addition to fat. Sure, a baked potato in its natural state (that is, sans toppings) is a very healthful food. Potatoes are naturally rich in vitamin C, potassium, and fiber. Plus, a medium-sized baked potato contains only about 160 calories. But if you're eating out, don't assume that the baked potato is the healthiest choice on the menu. Many restaurant-style baked potatoes can come "fully loaded" with butter, sour cream, cheese, bacon bits, and other goodies that can add up to around 600 calories and 20-plus grams of fat. 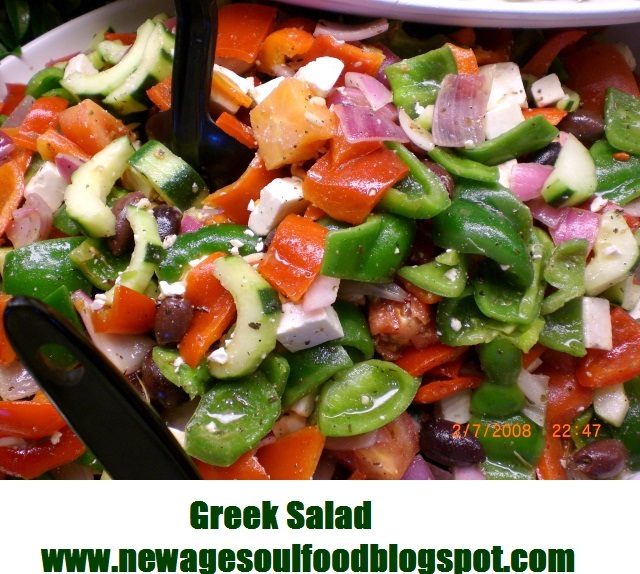 Ask for one that is plain and get one or two small-portioned toppings on the side. Or try making your own healthful baked potato meal at home by adding some chopped, cooked chicken to our Caramelized Onion-Stuffed Baked Potato. If you're going for a leisurely stroll or doing some light housework, skip the sports drinks. While most sports drinks do contain important electrolytes (like potassium and sodium) that are necessary for intense workouts or endurance training, you don't need a sports drink to fuel light activity. Many sports drinks contain 125 calories or more per 20-oz. bottle, so spare yourself the extra calories and opt for plain water or a calorie-free beverage to keep you hydrated. Terms like multi-grain, 7-grain, and wheat sound healthy, but they may not actually contain heart-healthy whole grains. Many breads labeled "multi-grain" and "wheat" are typically made with refined grains, so you're not getting the full nutritional benefit of the whole grain. How can you be sure? Read nutrition labels carefully. If the first flour in the ingredient list is refined (it will typically say "bleached" or "unbleached enriched wheat flour") you are not getting a 100% whole-grain bread. Don't assume that anything with the word "salad" in it must be healthy. Prepared tuna salads, chicken salads, and shrimp salads are often loaded with hidden fats and calories due to their high mayonnaise content. While a lot depends on portion size and ingredients, an over-stuffed tuna sandwich can contain as many as 700 calories and 40 grams of fat. 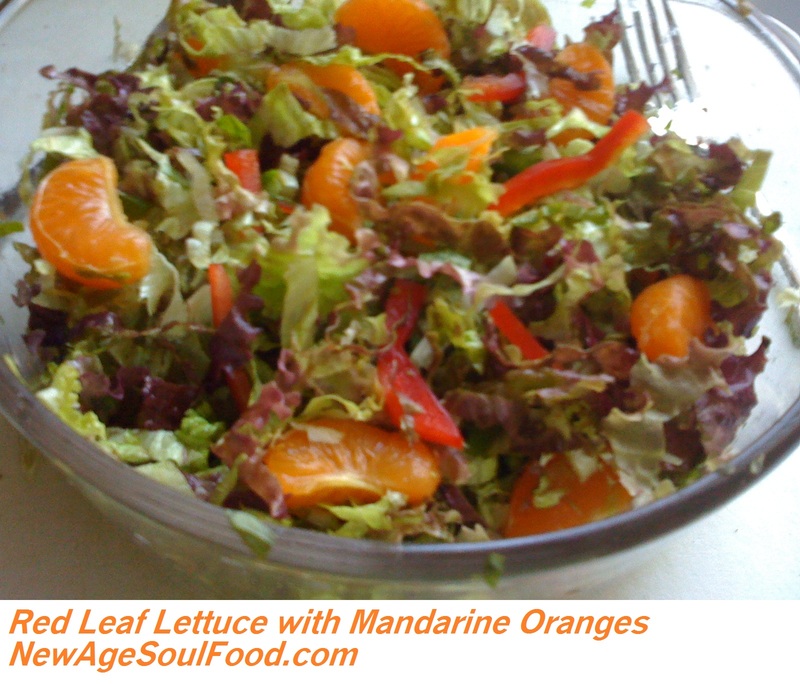 If you're ordering out, opt for prepared salads made with low-fat mayonnaise, and keep the portion to about the size of a deck of cards. Better yet, make your own, like this Herbed Greek Chicken Salad. Reduced-fat peanut butter is not necessarily a healthier version of regular peanut butter. Read the labels to see why. Both regular and reduced-fat peanut butter contain about the same amount of calories, but the reduced-fat variety has more sugar. But isn't it healthy to reduce some fat? Not in this case. Regular peanut butter is a natural source of the "good" monounsaturated fats. Look for a natural peanut butter with an ingredient list that contains no added oils. Better yet, find a store where you can grind your own, or make your own nut butters at home. Energy bars are the perfect pre-workout snack, right? Not always. Many energy bars are filled with high fructose corn syrup, added sugar, and artery-clogging saturated fat. Plus, some bars (particularly meal replacement varieties) contain more than 350 calories each―a bit more than "snack size" for most people. It is a good idea to fuel up with a mix of high quality carbs and protein before an extended workout or hike. Choose wisely: one-quarter cup of trail mix, or 1.5 oz. of low-fat cheese and three to four small whole-grain crackers. Or, make your own healthy granola bars and trail mix with these recipes. Pots and pans are the workhorses of the kitchen, but it’s hard to say what the best materials are—they all have their own advantages and drawbacks. That’s why this discussion should really start with you, the consumer, who should consider what quality of cookware fits your budget, how much time and energy you want to put into cleaning and caring for it properly, and choosing the right pan for the job. 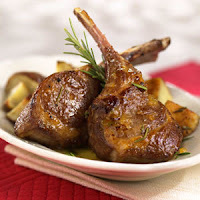 A cast-iron skillet sears meat beautifully, for instance, but unless it is very well seasoned, it’s reactive with both acidic foods (such as tomatoes, vinegar, wine, or lemon juice) and alkaline foods (such as dried beans or corn). This causes finished dishes to have an unpleasant metallic flavor, be discolored, and can even pit the surface of the pan. And even though cooking in cast iron can increase the iron in your diet, it depends on the type of food you’re cooking and how seasoned the skillet is. 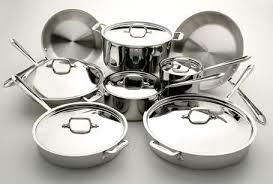 Aluminum, of course, is the cookware material most often avoided for perceived health risks. Decades ago, a possible link between aluminum and Alzheimer’s disease emerged, but according to the Alzheimer’s Association (where it’s on a list of myths about the disease) and a consensus of medical experts, further studies have failed to confirm that aluminum plays any role in causing Alzheimer’s. And that’s a good thing, too, because unless you live in a bubble, you’re being exposed to aluminum every single day, no matter what cookware you use. The third most common element on Earth, aluminum is naturally found in the soil, and thus a tiny amount finds its way into fruits, vegetables, and meat—organic or not. Aside from natural sources, aluminum is also present in products such as buffered aspirin, some antacids, antiperspirants, and pickled and processed foods. If you are intent on limiting your exposure, then consider it one more reason to avoid the inner aisles at the supermarket. 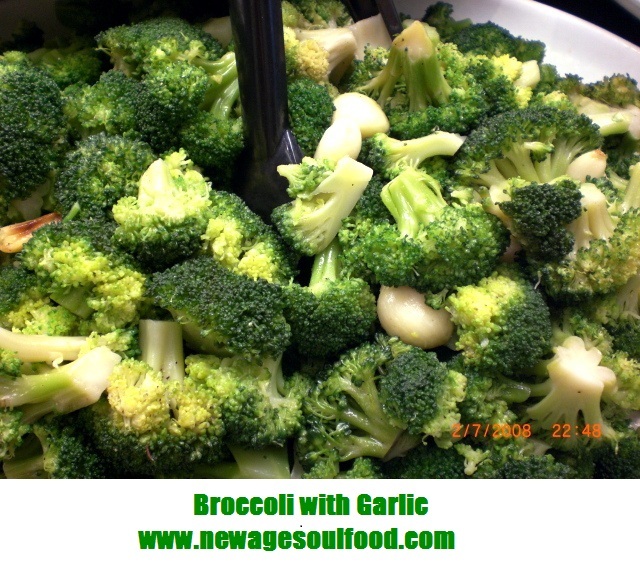 Compared to those sources, the one to ten milligrams of aluminum we ingest naturally every day is insignificant, as is the amount that will leach out of an aluminum pot into your dinner. 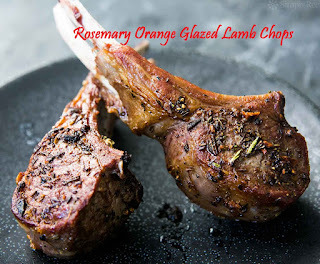 According to an account in Cook’s Illustrated (January 2012), lab tests run on tomato sauce cooked in aluminum for two hours, then stored in the same pot overnight, showed that the sauce contained only .0024 milligrams per cup. In contrast, a single antacid tablet may contain more than 200 milligrams. Just contemplating that fact is enough to give me indigestion. Aluminum: Aluminum is lightweight, strong, conducts heat well, and is relatively inexpensive. If, after reading the preceding paragraphs, you are still concerned about aluminum leaching into food, replace any worn or pitted pans with anodized aluminum cookware—which is sealed with a coating to make it harder, denser, nonreactive, and nonstick—or go with another material entirely. Cast-iron: If you come across a well-cared-for cast-iron skillet at a tag sale, find out why you should pounce in one of my first columns for TakePart. 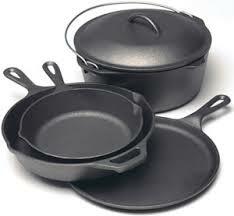 You’ll also see a mention of enameled cast iron, which is expensive, but nonreactive and easy to maintain and clean. 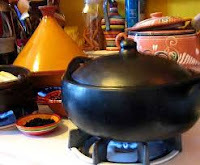 Clay: A clay pot needs to be seasoned, but it will reward you on a number of levels, including superb heat distribution and retention, great depth of flavor, and the simple pleasure of cooking with such an ancient and beautiful piece of equipment. I suggest starting out with an inexpensive Spanish cazuela from La Tienda or a coquette from The Spanish Table; I’ve had both for years, and everything I make in them tastes delicious. For more about clay-pot cooking, I recommend Mediterranean Clay Pot Cooking, by the Mediterranean cookery scholar Paula Wolfert. 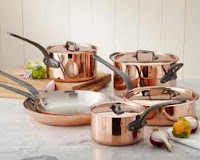 Copper: Copper is ultra-responsive to heat, both spreading it quickly and evenly throughout the bottom and sides of a pan and then losing it rapidly when the temperature is lowered. Because it’s more reactive than cast-iron or aluminum, it’s sold “tinned,” that is, lined with another metal such as stainless steel to prevent toxic amounts of copper from leaching into foods. The downside? Copper is very expensive, must be hand-washed, and needs regular polishing to maintain its gleam. Stainless Steel: Stainless steel is an alloy that, in cookware, is made with 18 percent chromium and from 8 to 10 percent nickel. 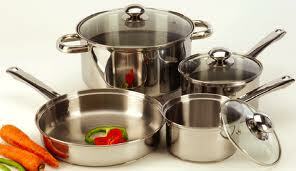 A pan marked “10/18” has the highest nickel content, giving it a more durable, lustrous finish. Stainless-steel pots and pans are practically perfect: they are nonreactive (i.e., chemically stable), nonporous, virtually maintenance free, and resistant to scratches, dents, and, yep, stains. But because the metal is a poor conductor of heat, manufacturers often combine it with a better heat conductor. They may coat the bottom of a stainless-steel pan with copper, insert an aluminum or copper plate in the bottom, or make the pan out of several layers, with a good conductor right under the surface. These embellishments add to the cost of stainless-steel cookware, but, as the food-chemistry authority Harold McGee notes in On Food and Cooking: The Science and Lore of the Kitchen, “these hybrids are the closest thing we have to the ideal chemically inert but thermally responsive pan.” And that, in a nutshell, is why so many professional chefs and serious home cooks swear by them. Place ground beef in a large bowl, add the vinegar and salt and mix thoroughly by hand. With the exception of the tomato sauce, add all remaining ingredients and thoroughly mix by hand. 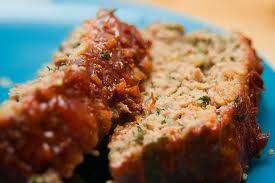 Place mixture in a loaf pan and top with the tomato sauce. Let loaf rest for 10 minutes before removing it from the pan to complete the cooking process and allow the juices to settle. Heat skillet and oil, add the onions and cook until they are caramel in color. 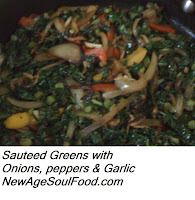 Add remaining ingredients mix thoroughly and reduce heat to low, cover and cook 6 - 16 minutes (depending on greens) or until greens are slightly tender. Rinse quinoa until water runs clear, drain thoroughly. 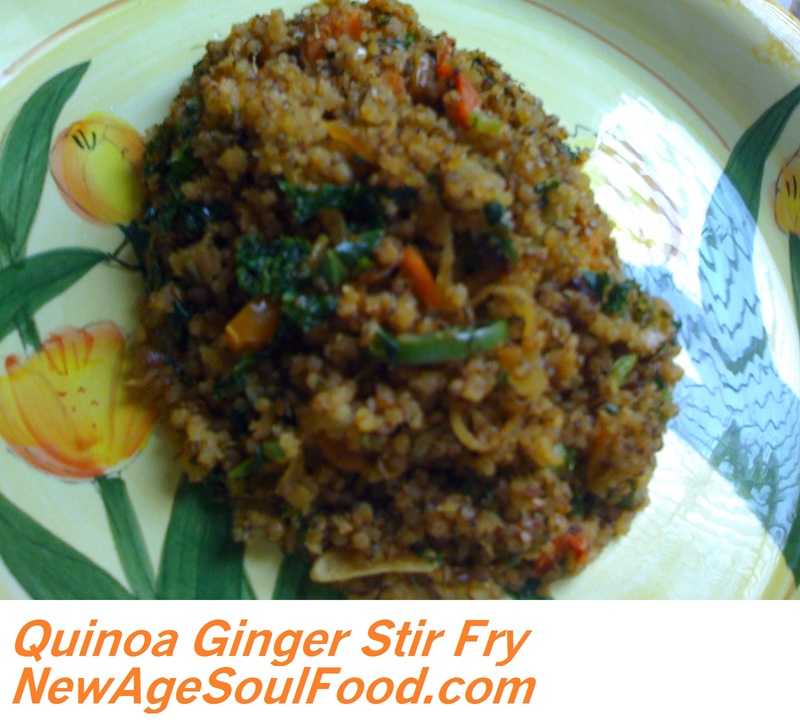 Heat a skillet over medium heat then add quinoa and dry roast until quinoa is golden brown. Stir occasionally to prevent sticking and burning. Transfer roasted quinoa to a sauce pan and add the water, sea salt, granulated garlic, granulated onion and ground ginger. 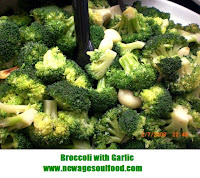 Bring pot to a boil, reduce the heat to the lowest setting, cover and cook for 15 minutes. Remove pot from heat and let it rest 6 minutes before removing the top. In a medium sauce pan, heat the oils add the chopped ginger and saute 2 minutes then add the chili peppers and continue sautéing until ginger is golden in color. 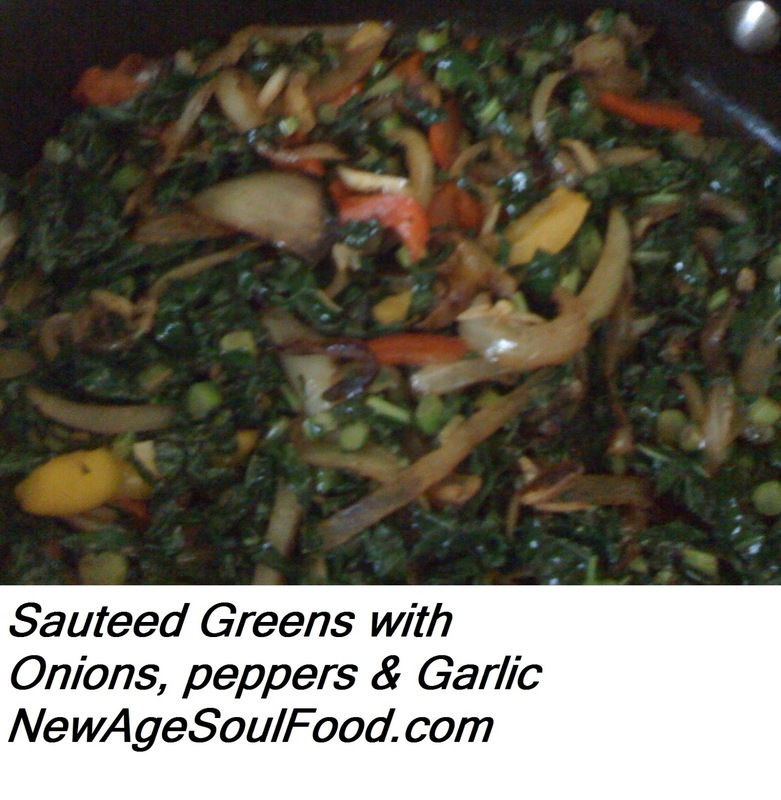 Add the garlic, onions, peppers, kale, broccoli and carrots and continue sautéing until vegetables are done. About 5 minutes. 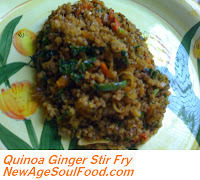 Add the quinoa and tamari mix thoroughly and saute another 3 – 5 minutes. Taste for seasoning and adjust if needed.